Multi-wavelength astronomy - the study of the universe at wavelengths beyond the visible, has revolutionized our understanding and appreciation of the cosmos. Hubble, Chandra, and Spitzer are examples of powerful, space-based telescopes that complement each other in their observations spanning the electromagnetic spectrum. 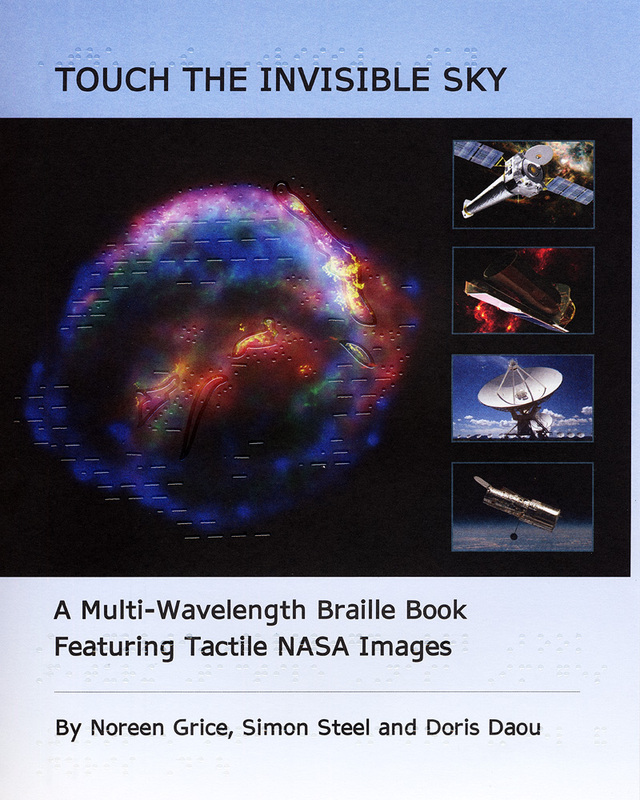 NASA's new Braille book "Touch the Invisible Sky" presents the first printed introduction to modern, multi-wavelength astronomy studies to the sight disabled community. This audio explanation of the electromagnetic spectrum makes an analogy between sound and light. "Touch the Invisible Sky" is accessible to both visually impaired and sighted readers. The book presents celestial objects as they appear through visible-light telescopes and in different spectral regions that are invisible to the naked eye. It uses a combination of Braille and traditional text. A variety of tactile textures and symbols were chosen to represent different physical features and characteristics of the images. Copies of this book will be supplied free of charge to the US Library of Congress and other libraries serving the Braille reading population, as well as to US schools and technology centers for the blind. Additional copies will be available for purchase through Ozone Publishing. This project represents a collaboration among several NASA programs and three authors. The initial prototype of the book was funded by an education and public outreach grant from the Chandra X-ray Observatory to Dr. Mark Lacy at the Spitzer Science Center. Co-authors Noreen Grice and Doris Daou prepared the draft. Ozone Publishing's unique system of applying transparent Braille outlines and textures over colored images was chosen to produce the published copy. Dr. Simon Steel of the Universe Forum joined the team for final revisions. The Braille and tactile images were reviewed by Vivial Seki, of Education Service Center, Region 20, and Benning Wentworth and students at the Colorado School for the Deaf and Blind. Funds for publication were contributed by the Space Telescope Science Institute, the Origins Forum, the Universe Forum, the Chandra X-ray Center, and the Spitzer Science Center.